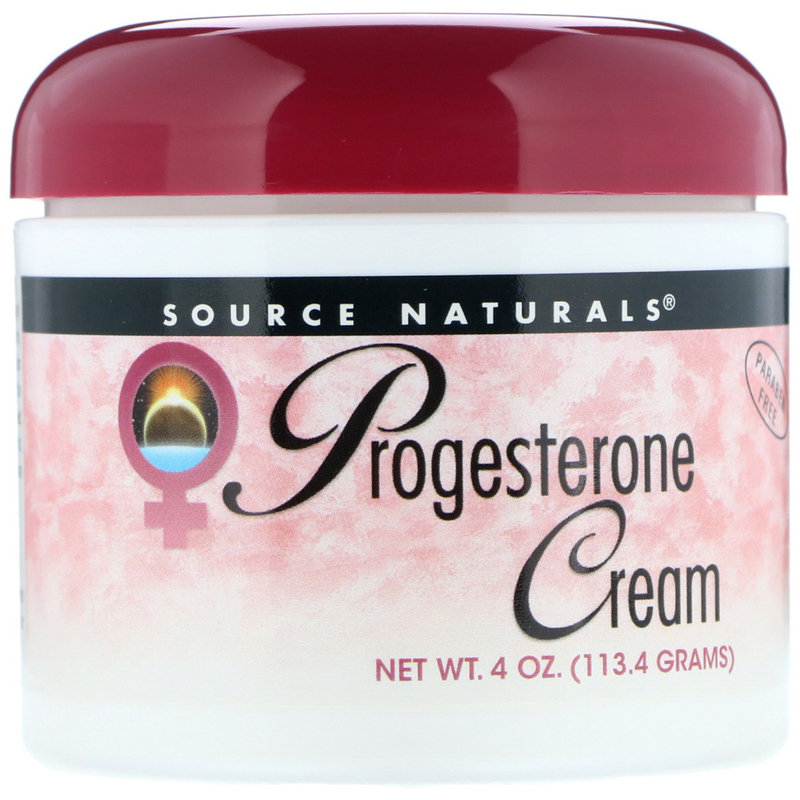 Source Naturals Progesterone Cream features progesterone USP derived from soy. Our Progesterone Cream is guaranteed to contain 500 mg of progesterone is guaranteed to contain 500 mg of progesterone per ounce and 22 mg per 1.3 grams (approximately 1/4 teaspoon). Massage 1/4 to 1/2 teaspoon of cream twice daily into smooth skin areas such as the wrists, inner arms or thighs, abdomen or chest. 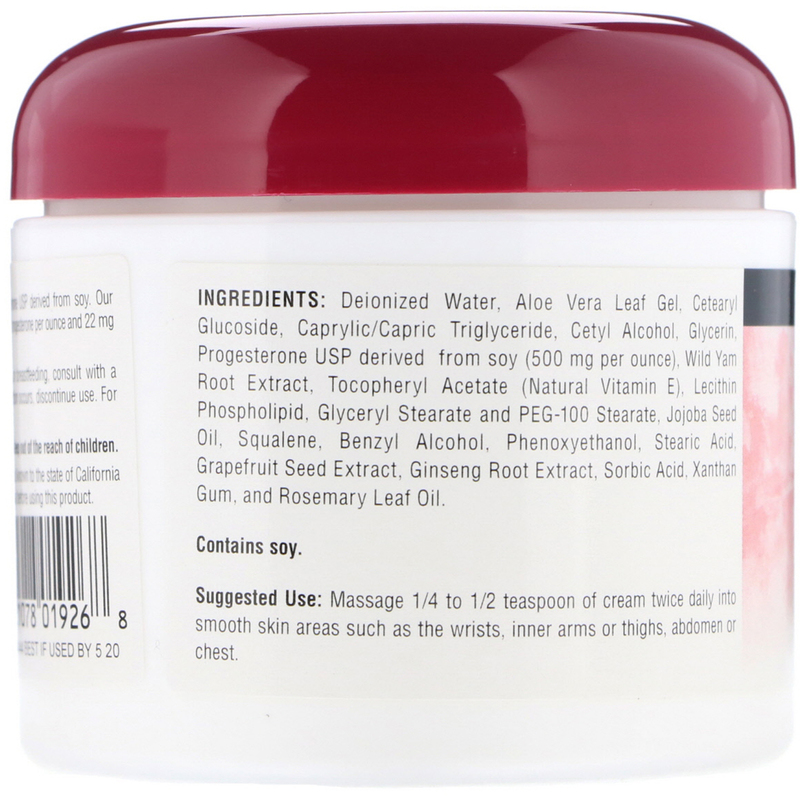 Deionized water, aloe vera leaf gel, cetearyl glucoside, caprylic/capric triglyceride, cetyl alcohol, glycerin, progesterone USP derived from soy (500 mg per ounce), wild yam root extract, tocopheryl acetate (natural vitamin E), lecithin phospholipid, glyceryl stearate and PEG-100 stearate, jojoba seed oil, squalene, benzyl alcohol, phenoxyethanol, stearic acid, grapefruit seed extract, ginseng root extract, sorbic acid, xanthan gum, and rosemary leaf oil. This product contains progesterone, a chemical known to the State of California to cause cancer. Consult with your health care professional before using this product. Contents measured by weight, not volume.